Featuring military toys like no other, G.I. 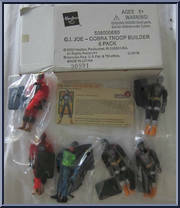 Joe has become the greatest band of boy's toys in America! One of the newest additions to the 3 ¾-inch G.I. Joe line: G.I. 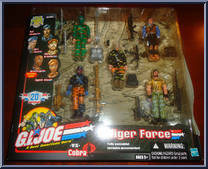 Joe Vs. Cobra! 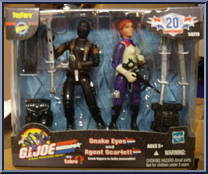 This series features both classic figure characters as well as new ones. The figures come two-in-one packed so you always got someone to fight (or save!). COBRA B.A.T. 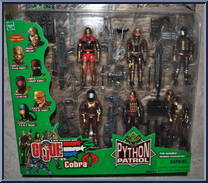 groups are expendable cannon-fodder for COBRA. Components are manufactured cheaply in foreign factories and assembled in secret plants by COBRA VIPERS on punishment duty. Final assembly i. . . AGENT JINX studied and competed in three forms of martial arts from the time she was seven until she graduated from Bryn Mawr. Upon arriving in Japan for a vacation, she discovered that her family had. . .